I wrote this piece last week for EPW – Economic and Political Weekly, India; reproduced below with photos and additional links. “Unsilencing Pakistan” was an idea first articulated in 2011. 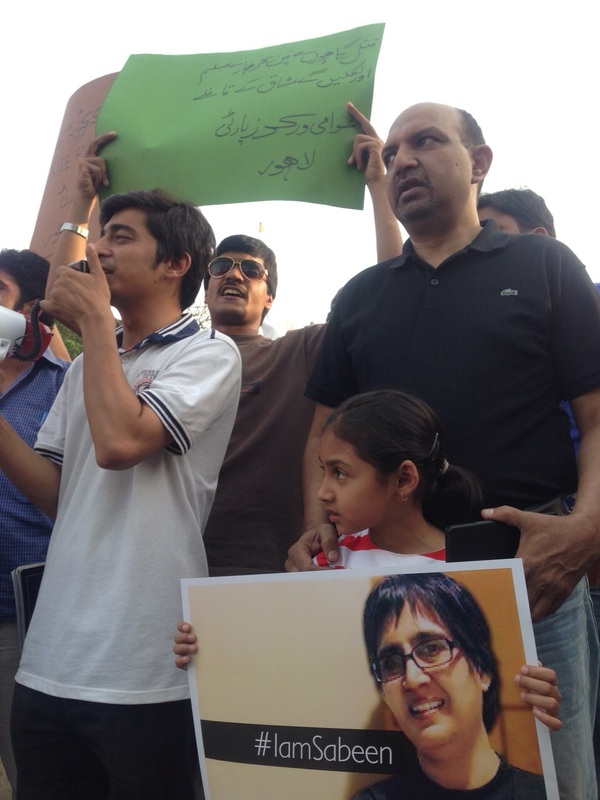 It has been revived following the recent murder of Sabeen Mahmud, who had attempted to create a space where Pakistanis could discuss contentious issues–like the human rights violations in Balochistan–without fear. Can Pakistan’s intellectuals and human rights activists survive the “intellecticide” being perpetrated? News about the suicide attacks at two churches in Lahore broke on the morning of Sunday, March 15, as Pakistanis were gearing up for a global vigil against terrorism in several cities around the world, to be held that day in the UK and USA, and in Pakistan on March 16. Just over a year ago, Punjab Governor Salmaan Taseer was assassinated in the most cowardly manner by a government-assigned security guard. Mumtaz Qadri, a member of the Punjab Elite Force assigned to protect the Governor, pumped 27 bullets into his victim’s back as he headed to his car on the afternoon of January 4, 2011.